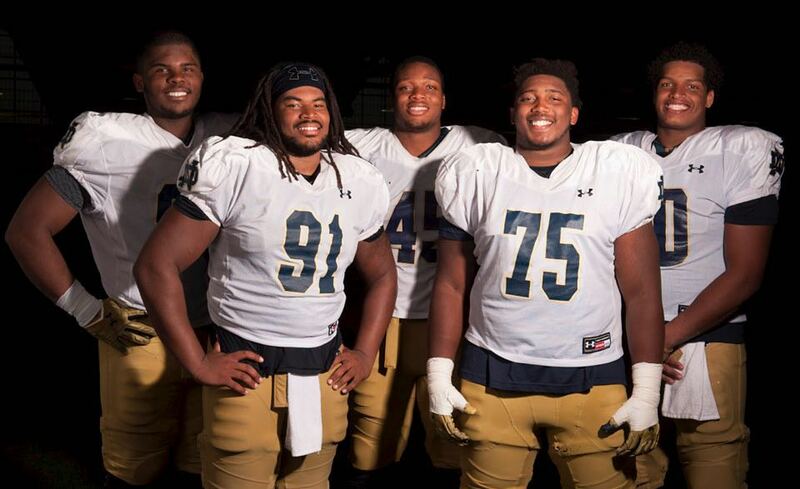 For the first 25 minutes Tuesday night, it was tough to get a read on Notre Dame. The Irish (18-7, 7-5 ACC) oscillated between looking like their usual selves, jumping out to a 14-9 and going on an 11-2 run later in the first half, and looking like a team taking on water faster than it could be shoveled out, giving up 9-0, 10-0 and 7-0 runs. Given the effects of a four-game skid and a Tuesday game against a non-marquee opponent, Purcell Pavilion was largely quiet and partially empty — one could have easily mistaken the game for a November nonconference one, not a key February league tilt. Then, with 14:50 to play and the Irish trailing 50-42, junior forward Bonzie Colson did something he hasn’t done with much consistency all year: hit an open 3-pointer. 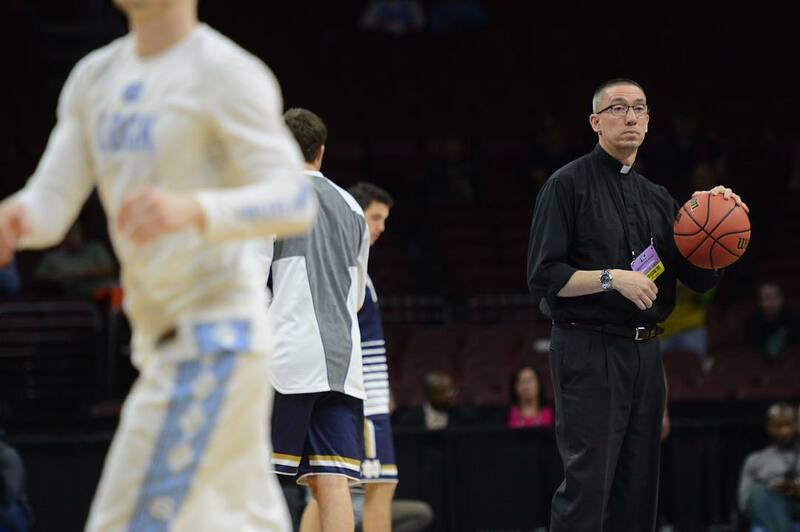 The next trip down the floor, Wake Forest lost junior guard Matt Farrell at the arc. Suddenly, it was a two-point game, and Purcell was alive. Irish junior forward Bonzie Colson shoots over a Virginia defender during Notre Dame’s 71-54 loss to the Cavaliers on Jan. 24 at Purcell Pavilion. 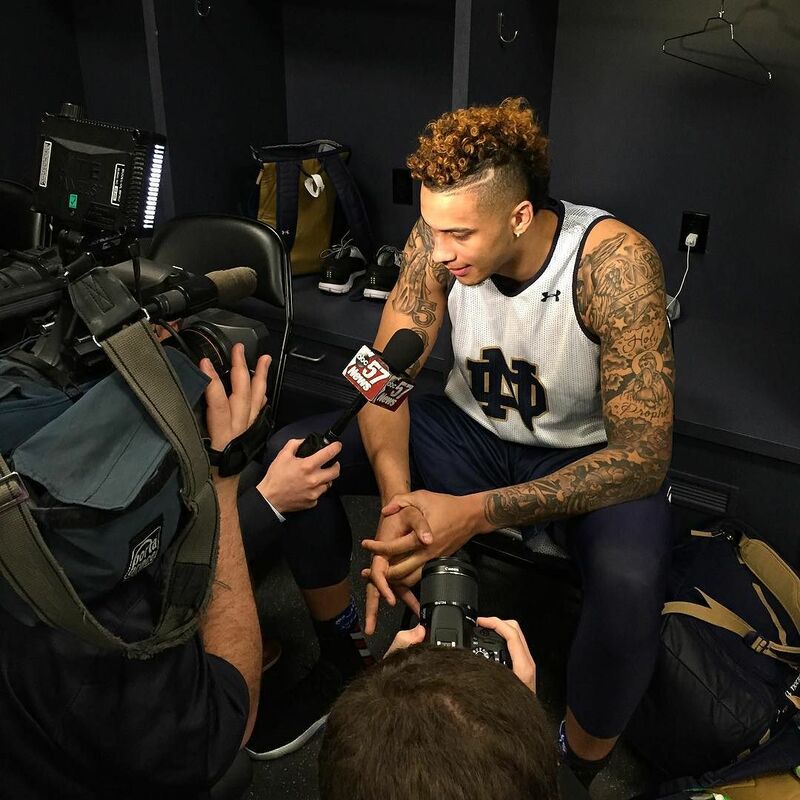 Colson paced the Irish with 27 points and 16 rebounds Tuesday. 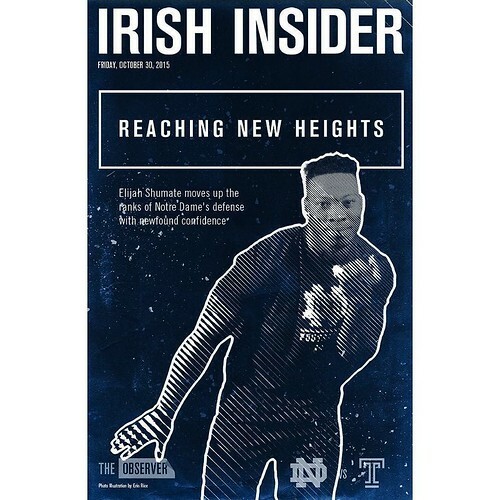 Within a couple minutes, Colson hit another 3 — this one in front of Irish football head coach Brian Kelly, who sat courtside with new defensive coordinator Mike Elko — and the Irish led for the first time in the second half, 56-54. 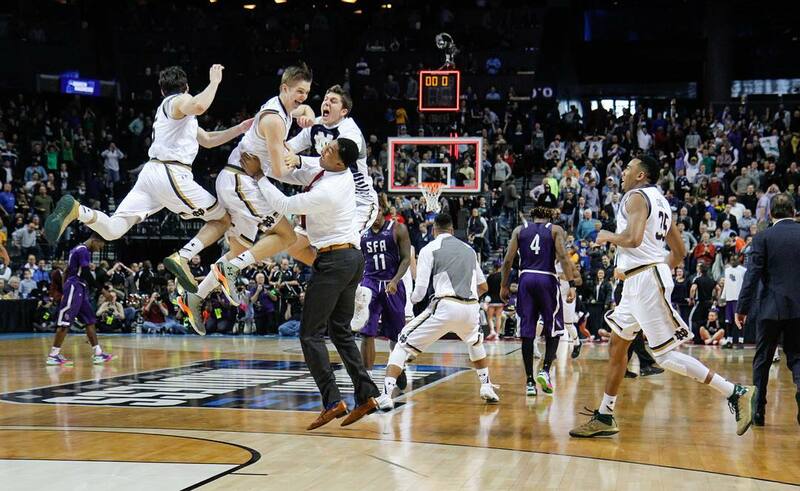 Though the Demon Deacons would tie the game, Notre Dame never trailed again, pulling away late for an 88-81 win. 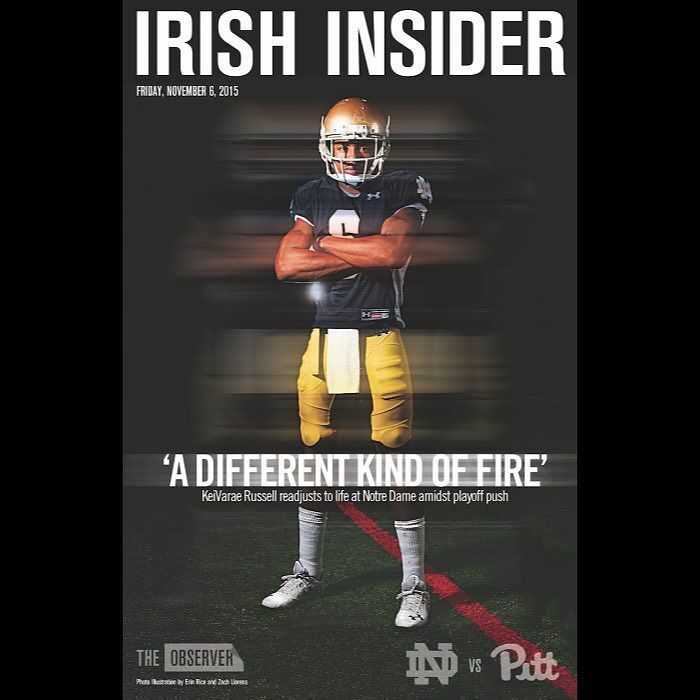 Perhaps more than they have all year, the Irish leaned heavily on their “big four” Tuesday night. Colson, Farrell, senior forward V.J. Beachem and senior guard Steve Vasturia combined for 79 of the team’s 88 points, while none sat for more than five minutes the whole night. 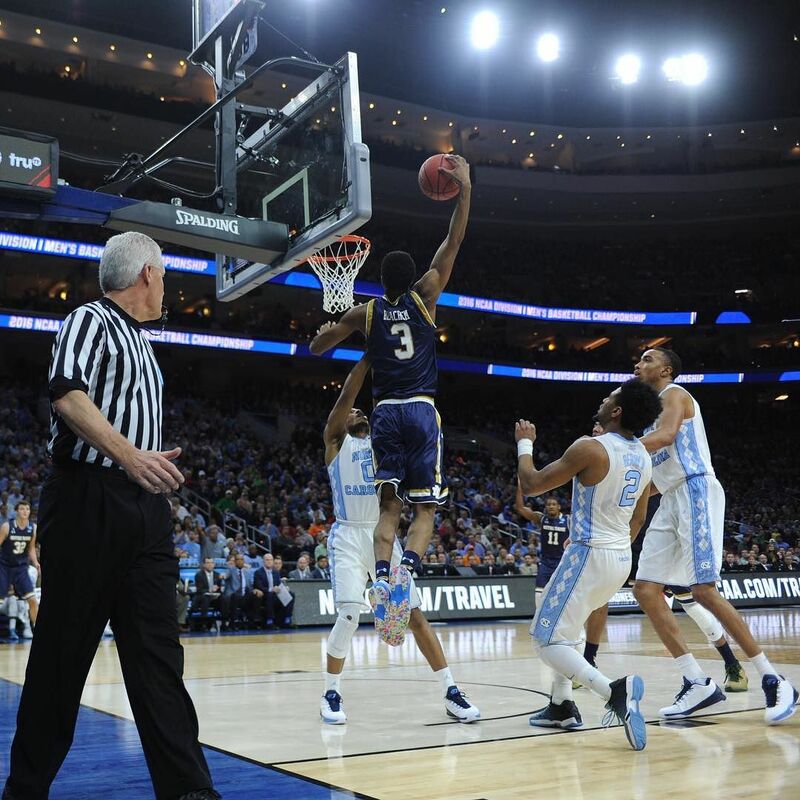 “Those four guys made big-time winning plays for us,” Irish head coach Mike Brey said. Colson was the standout performer, though, hitting both his 3-point attempts as he notched another stat-filled double-double with 27 points, 16 rebounds and five blocks. Notre Dame’s junior captain wasn’t the only big man putting up an impressive stat line, though: Wake Forest sophomore forward John Collins went toe-to-toe with Colson, scoring 24 and adding 14 rebounds in his team’s loss. After Notre Dame took that 56-54 lead, it didn’t take too long for the Demon Deacons (14-10, 5-7) to claw the game back to a 60-60 tie. But a Beachem 3-pointer put the Irish back ahead, and in due time, that lead grew to eight, 74-66, with just over four minutes to play. Wake Forest had another run in them, though, and rattled off six straight to cut the Notre Dame advantage back to two. Farrell and Wake Forest senior forward Austin Arians traded buckets, before Vasturia put his mark on the result, hitting a 3-pointer with 2:09 to play. From there, Irish maintained a two- or three-possession lead the rest of the way. Over those final 15 minutes, Notre Dame’s offensive efficiency was sky-high — the Irish scored 46 points in their final 26 completed possessions, an efficiency rating of 176.9 — outscoring the Demon Deacons by 15 points over that stretch. 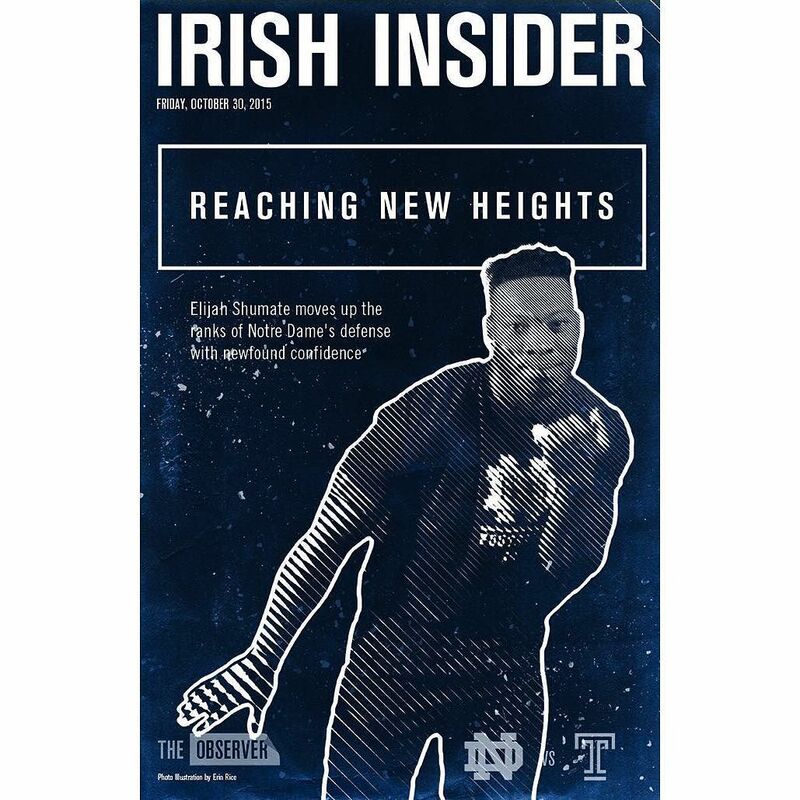 The Irish finished the game 13-for-27 from deep after a 9-for-14 second half, turning the ball over just twice in the second stanza. Continuing a trend from Saturday’s loss at North Carolina, the Irish went small again Tuesday — senior forward Austin Torres and junior forward Martinas Geben played just six minutes between them — and Brey said that playing “five-out” helps his four key scorers offensively. 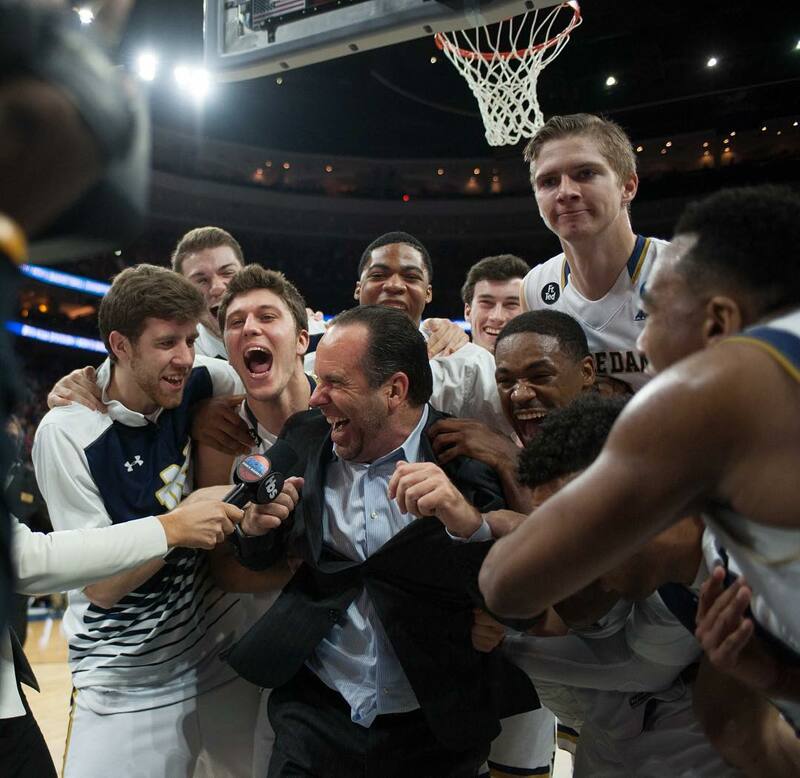 The win snapped Notre Dame’s longest losing streak in eight years — and Brey’s happy to have that off his team’s back. Brey’s team will have another chance for a resume-building win Saturday, when the Irish host No. 14, second-placed Florida State at Purcell Pavilion. Tipoff is set for 6 p.m., a change from the initial 2 p.m. game time.